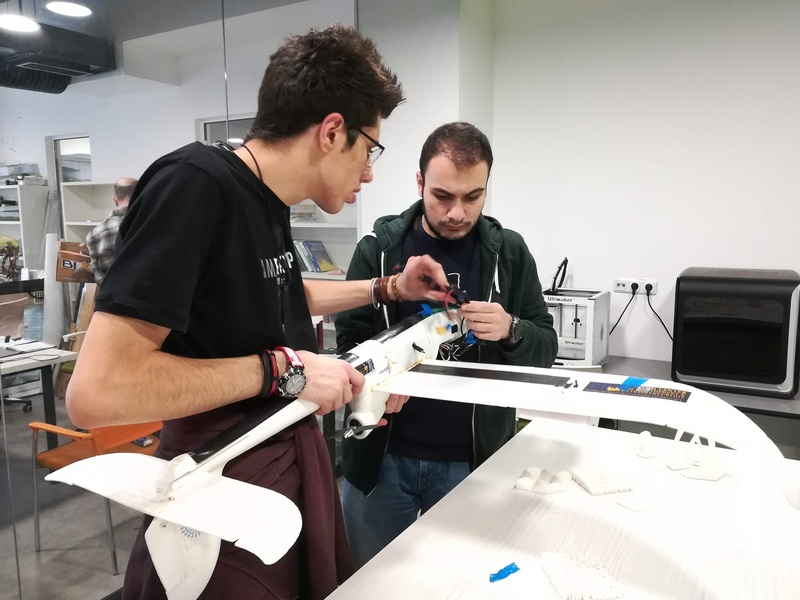 The Drone Club of the American University of Armenia (AUA), currently in its second semester, has engaged 30 AUA students to learn how to fly drones and to capture and process high-resolution images for environmental mapping and monitoring. This intensive process requires researching the parts needed, creating a flight plan, and mastering the software required to fly and operate the drone. The students are also building their own drone. “Right now we’re building a winged drone, trying to understand what systems are involved in it and what power systems need to be managed,” said Aspet Davoodi, a first-year student in Engineering Sciences who races drones competitively. Building a drone also teaches students project management skills that can be used across a variety of industries. The team estimates that the drone will be ready to fly by the end of November. The Club, led by AUA faculty member Sean Reynolds, is an initiative of the AUA Geographic Information System (GIS) and Remote Sensing Lab, created jointly by the AUA Acopian Center for the Environment and the AUA Akian College of Science and Engineering.